Mark Godson is a dually-licensed, highly-successful real estate veteran with 26 years of industry experience in Dallas and seven in California. 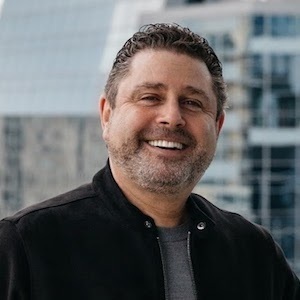 His illustrious background in all facets of the business has involved remodeling, building and designing many distinguished and featured properties, working with the top brokerage firms in Dallas, and selling some of the most important homes in Park Cities and Highland Park. With such an extensive and impressive track record in the local markets, along with glowing references from his long list of satisfied clients, Mark has garnered coveted recognition in his field. He initially worked in real estate and design in the UK before coming to Dallas for home restoration and design projects in Highland Park, then quickly transitioned into residential real estate sales excelling in the area. At Compass, Mark has partnered with his fellow Brit, Catherine Thorpe-Lambert, to form The Britannia Group. Together they specialize in uptown, downtown, Turtle Creek and Park Cities; handling everything from purchases and sales to remodeling, interior designing, furnishing, staging and marketing fine residences. Originally from London, Mark has resided in the U.S. for nearly three decades, in Palm Springs and Newport Beach, and for many years in Dallas. He holds a Bachelor of Arts degree in Interior Design from Chelsea School of Art, is a Grade II UK-approved remodeler in England, and the recipient a Park Cities Restoration Award. His invaluable skills and knowledge are true assets to anyone seeking to buy or sell real estate. Mark looks after his clients so well, they ultimately become his friends. Real estate is his life, and he lives and breathes it.